The availability of good quality water is an indispensable feature for preventing diseases and improving quality of life. It is necessary to know details about different physiochemical parameters such as colour, temperature, acidity, hardness, pH, sulphate, chloride, Biochemical Oxygen Demand, Chemical oxygen Demand, Dissolved Oxygen, alkalinity before usage. Paper industry effluent is used for irrigation purpose in agricultural lands. This effluent alters the characteristics of ground water such as wells due to infiltration through soil pores and affects the soil fertility. Many of the ground water changed to sour taste. The present investigation aims to study the effects of infiltration of effluent which alters the characteristics of ground water around the paper industry. A detailed hydrological database consisting of analysing various characteristics of water samples collected at various points around the paper industry and some remedial measures are suggested to improve the quality of well water. Parameters like pH, Turbidity, Hardness, Biological Oxygen Demand, Chemical oxygen Demand, Dissolved Oxygen, etc… are reduced and make it fit for irrigation purpose by using Bioremediation with Azolla algae and Water lettuce. The use of this plant as a biological filter for renovation of waste water has been increased. An important part of the scrubber role of water lettuce is the trapping of waste materials by processes of filtration-adsorption by their root system. Kiruthika Venugopal, Hemapriya Subramanian, Saravanan, S Mani. "Assessment of Effluent from Paper Industry and Nearby Well Points." 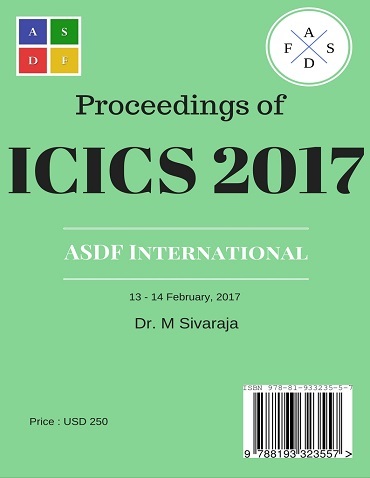 International Conference on Intelligent Computing and Systems (2017): 14. Print.